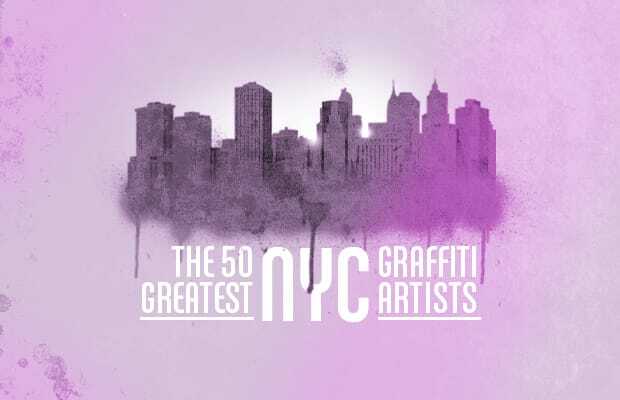 Having a top 50 list with no explanations just doesn’t work, so I’ve carved the subway movement into sections and tried to work that way—tags, style, throwies, etc. Trying to ﬁgure out how much weight to give to a category of writing is tough. Even tougher for the writers is that each generation has to surpass the next in quantity and quality. This is particularly tough on writers in the '80s and '90s. I think most writers can agree on at least 40 of the writers, after that it probably becomes more subjective. When you get frustrated with my list do what I did, ask yourself which one of these greats would you take off to put in your candidate? Good luck. Let the debate begin. Written by Chris Pape / FREEDOM.